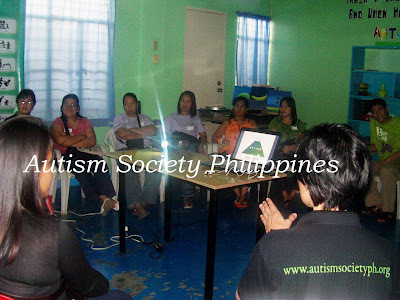 As part of the celebrations of the 16th National Autism Consciousness Week, ASP Bacoor and ASP Imus Chapters jointly conducted the “Autism Forum” – a Family Support Group activity – last Sat., January 28, 2011 at Starlight Training School in Imus, Cavite. 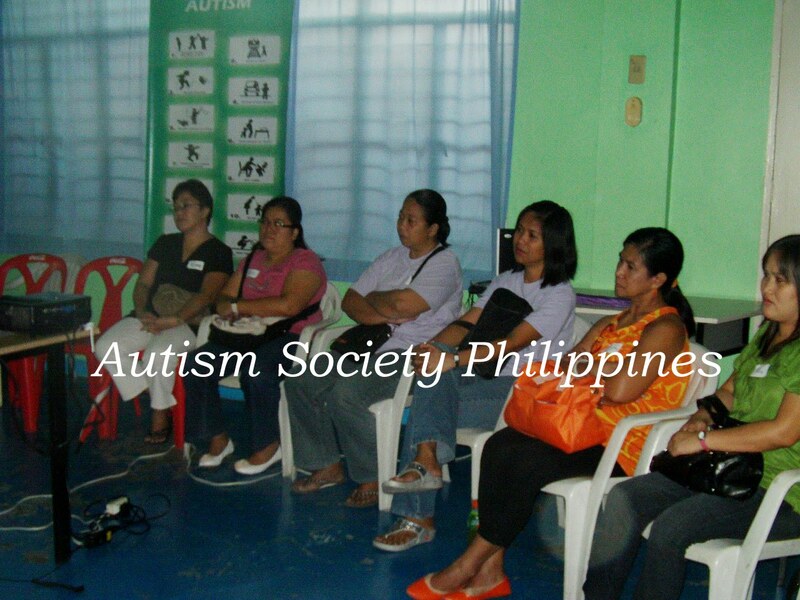 Nineteen parents, teachers and caregivers of CWAs attended the forum, which was facilitated by ASP Bacoor Chapter President Jan Peña, the Gobernadora of ASP Cavite Chapters. During the forum, the parents shared their thoughts about autism as a condition and expressed their hopes and concerns about their children with autism. 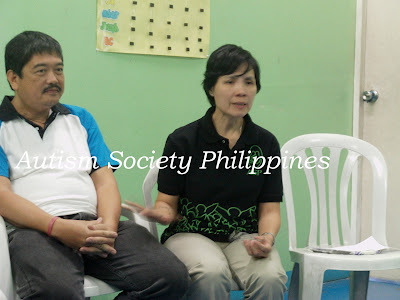 Tita Jan Peña discussed information about the autism spectrum with an eye to clarify misconceptions about the condition and to empower parents and caregivers to do their share of intervention and management at home. At length, she shared her experiences with Muneer, her 16-year-old son with autism, who has turned from a very hyper active and manipulative child to a highly functioning teen doing all sorts of household chores independently and assisting Mommy Jan in many advocacy engagements in and outside Cavite. Apart from the snacks, the attendees were also treated to a film viewing of “Temple Grandin,” starring Claire Danes. The story of Temple Grandin brought home the truth that CWAs have great insights and talents, which, when discovered and given opportunity to grow, can lead to fulfilled and meaningful lives. You can contact ASP Bacoor Chapter President Ms Jan Peña at 0915 9857828.